I don't know about you, but when a recipe calls for something like...."2 tablespoons coffee", nothing bugs me more than pulling out the big 'ol coffee maker! I mean, really- who wants to go through all of the hustle and bustle of doing such a thing for like...two drips of coffee! 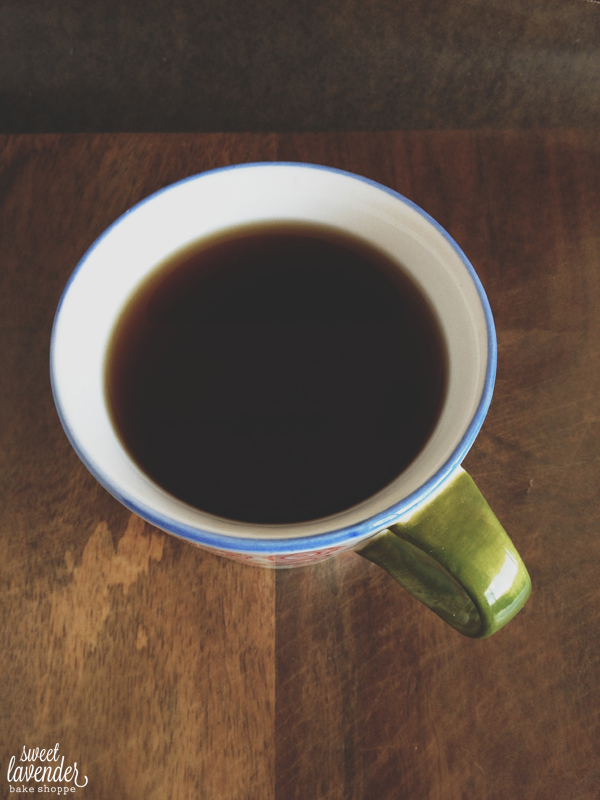 Sure, if you're an avid coffee drinker, you probably have some to spare- but for me- I don't usually drink the stuff on a daily basis...so it's never around! That's where this handy tip comes in! How to make as little coffee as you need! If you are a lucky owner of a French Press, well shoot- we should be friends. 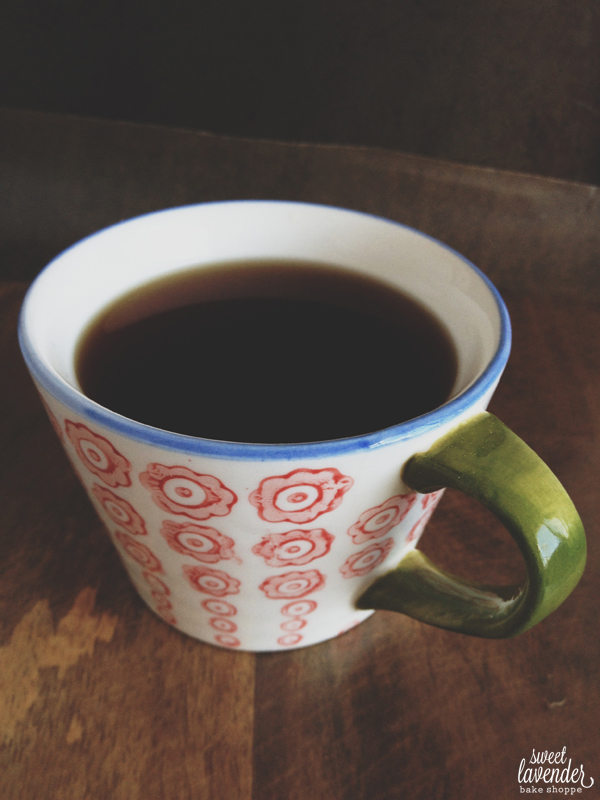 I mean, if one were to drink coffee on a daily basis- a French Press is the way to go. It makes some of the tastiest coffee around! We just recently converted an AVID coffee drinker into a French Presser after having them over for coffee and dessert one night. Win! We do own one, and it has come out from time to time to make a good quality cup o joe. You know, when we really needed that mega dose of caffeine. MmMMmmm caffeine! It also is used as a make shift tea pot (haha) and has been known to make a 1/2 cup of coffee for cakes and cupcakes. Thing is- not everyone has one. So what about those who are French Press-less (gasp!) and really don't feel like fiddling with their giant maker for such a small amount needed? Put approximately 8 ounces of water in a tea kettle (or shoot, a sauce pot!) and bring to a boil. While water is boiling, line a funnel with 1-2 paper towels (depending on your towel's thickness). If you have a thick towel, one should suffice, if they're on the thin side, best to double up. 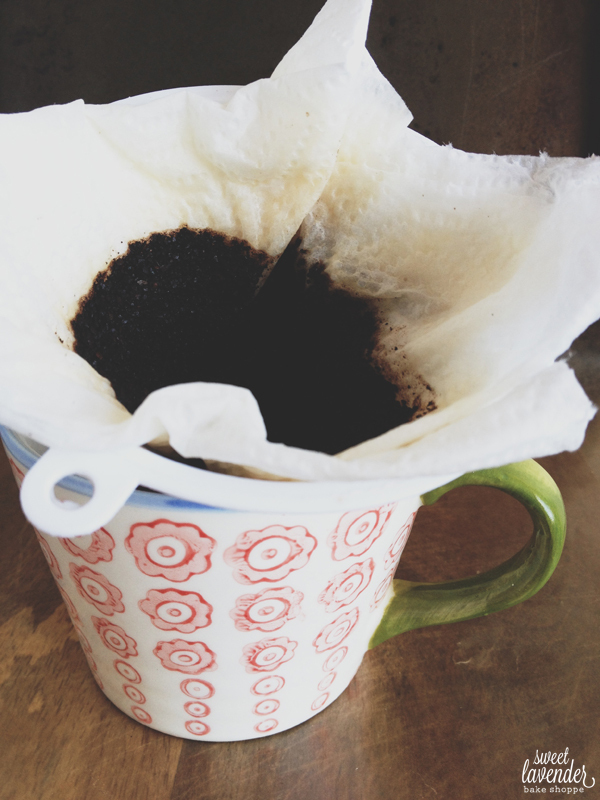 Place paper towel-lined funnel into your coffee cup and add 1-2 tablespoons ground coffee. 1 tablespoon for less strong coffee, 2 if your recipe calls for "strong coffee". Once water is boiling, GENTLY and SLOWLY pour over your coffee grounds, allowing water to fall through completely into cup before adding more water. Continue to fill up until you have the amount of coffee needed! Hehehe, this made me giggle!!!! If you're on the go, a automated The Best Coffee Maker Review machine will preserve you a while in the morning hours on the way to work. All you will need to do is set the clock the night before and by time you are out of the bath, the java will be hot and ready for you have fun with it.